The first issue of arTree magazine is almost here! I have been working towards this goal for quite some time and now it is almost here. The first issue has been sent to a proofreader and will be available for a free download in a coupe of weeks. 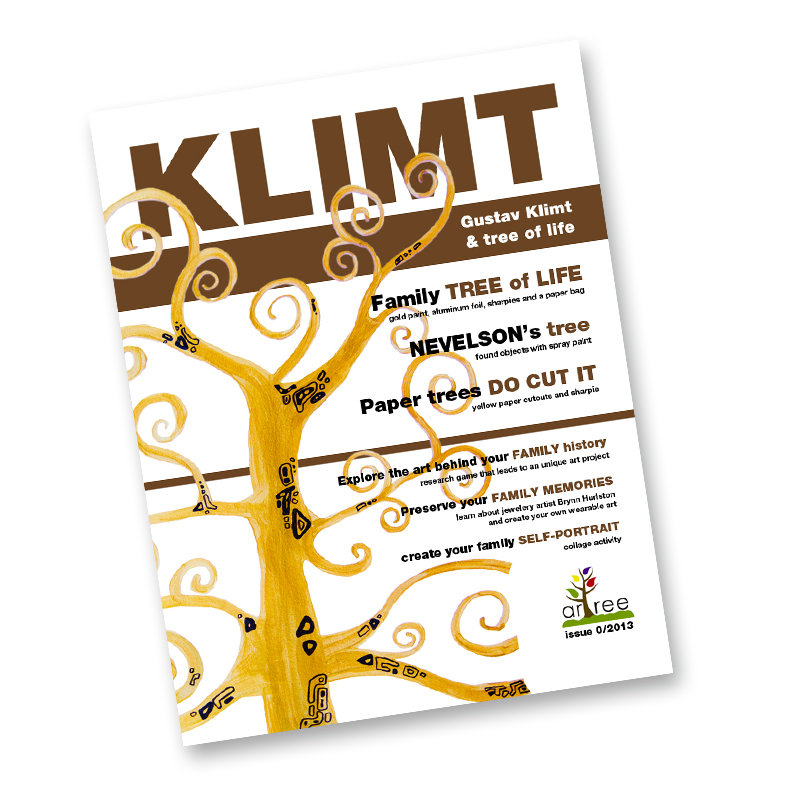 The first issue if about Gustav Klimt and tree of life/family tree. It is filled with art projects and activities, exclusive interview (and project) with a unique jewelry artist and much more. It is 13 pages of creativity. This entry was posted in Updates and tagged art, ArTree, digital, family, jewelry, kids, klimt, magazine, project, tree of life. Bookmark the permalink.